Our designers are complemented by the experts in our print resource (see commercial print) who use excellent materials and equipment to offer a first class service. 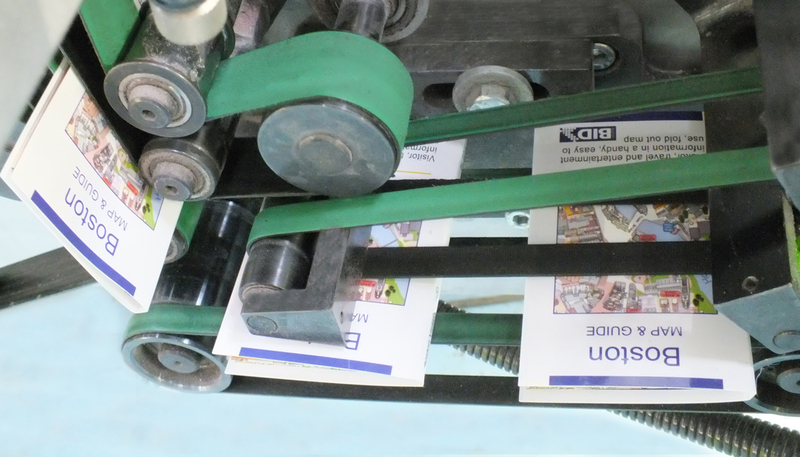 The specially designed ‘in-line’ machine for folding the innovative Little Book epitomises the range of finishing options available like folding, creasing and perforating; binding round cornering, drilling and digital embossing. 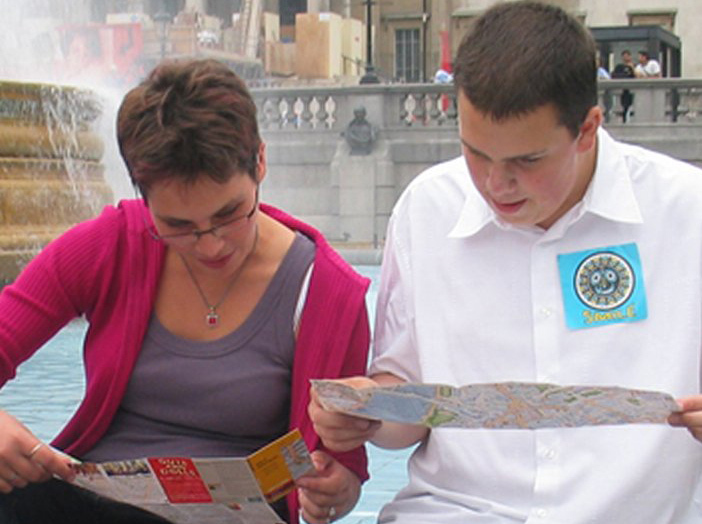 In addition we offer a fulfillment service for convenience; in Bradford we print Bradford Map Pads and deliver direct to hotels, Visitor Centres and Shopping Centres Information Desks . 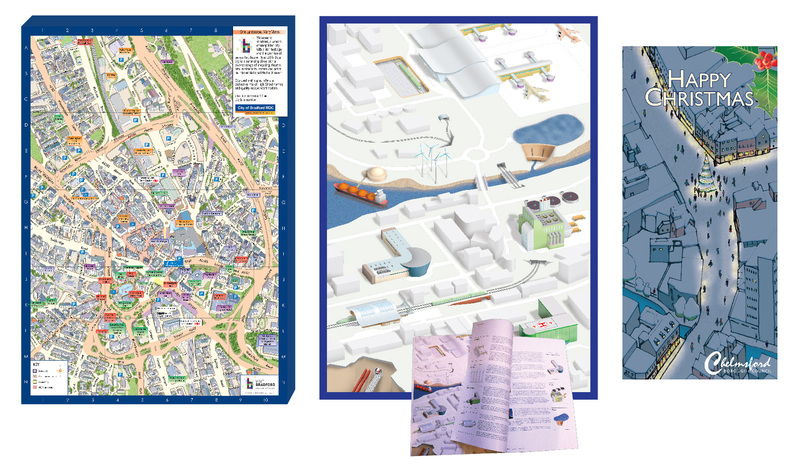 Although the Little Book is our most popular map format, detail of which can be seen by going to our Little Book page, we naturally print maps in standard formats. Our map pads in A4 and A3 handed out by hotels are equally successful and the Chelmsford Christmas Card created with a modified extract of the Chelmsford Town map was a first. 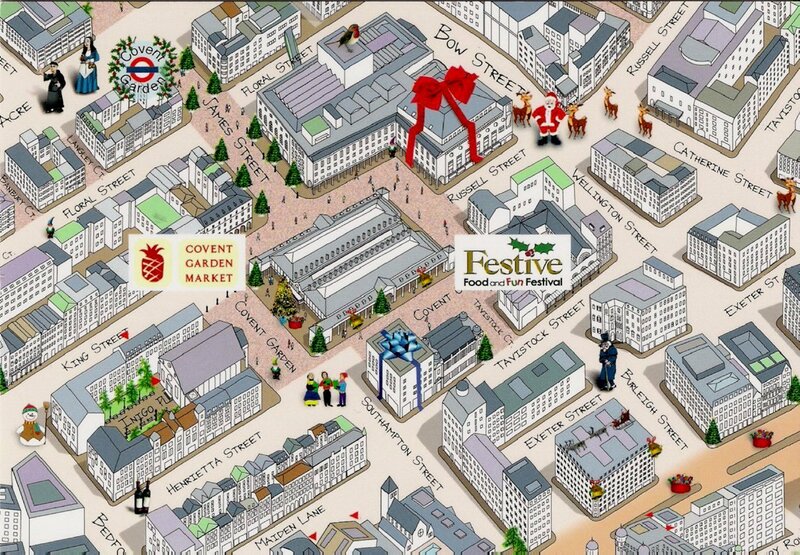 The image alongside shows the Christmas event postcard produced for Covent Garden, details and timetable of proceedings were printed on the reverse. 100,000 were printed and not one copy was found discarded! 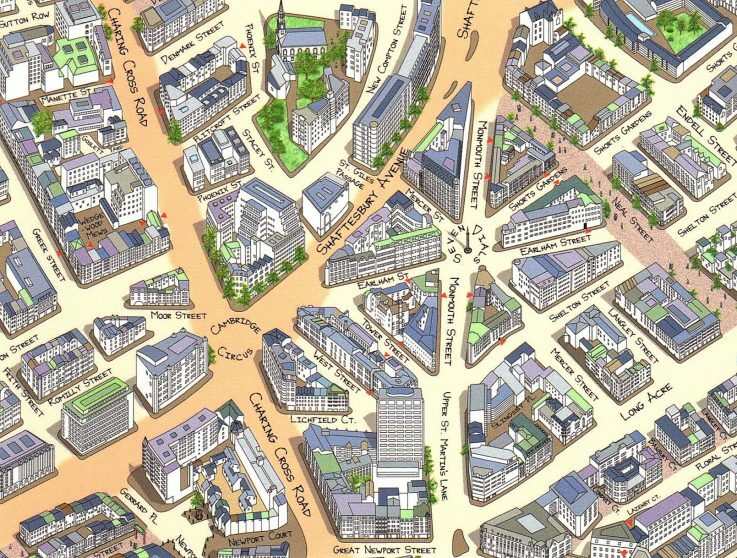 As you would expect we add another dimension by including maps on our own business cards so we know they will reproduce at the smallest scale. 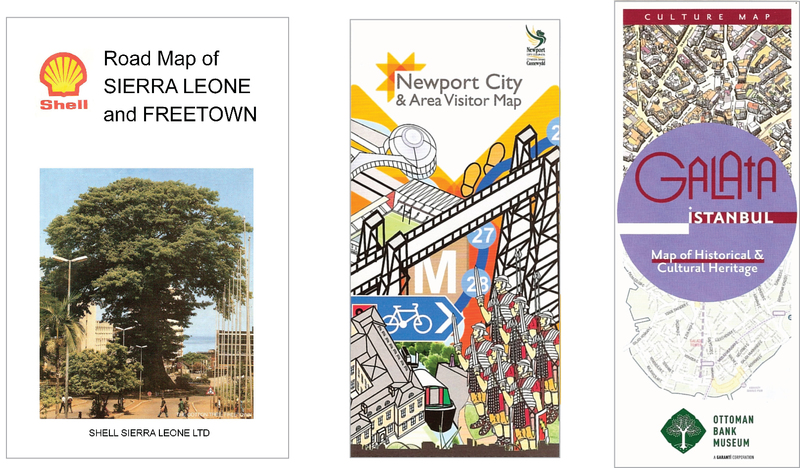 Postcards are a proven, smart, economical and valued method of promoting a location, town or event. 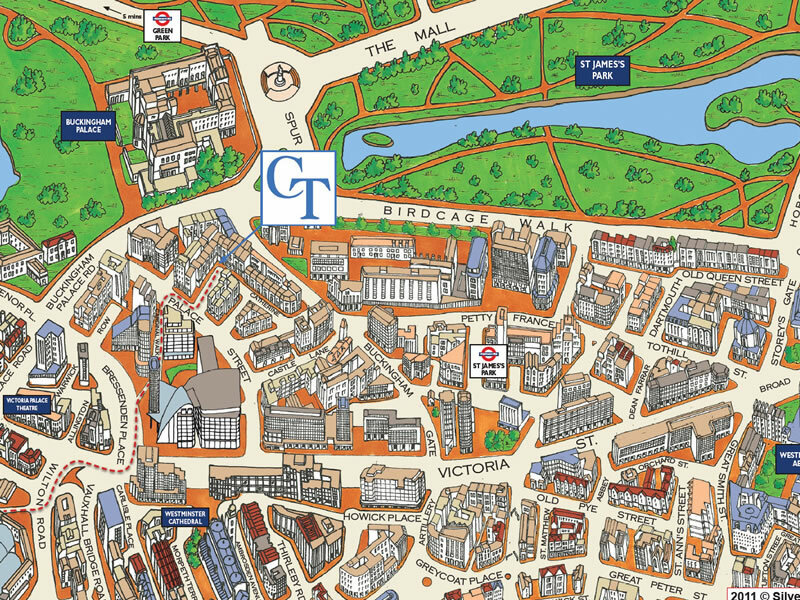 Alternatively they can simply guide people to your door as shown in the first image where our client Corren Troen does exactly that; guiding visitors from the station through the narrow complex streets of Victoria, London. A retailer in Covent Garden order a series of extracts to offer them for sale. 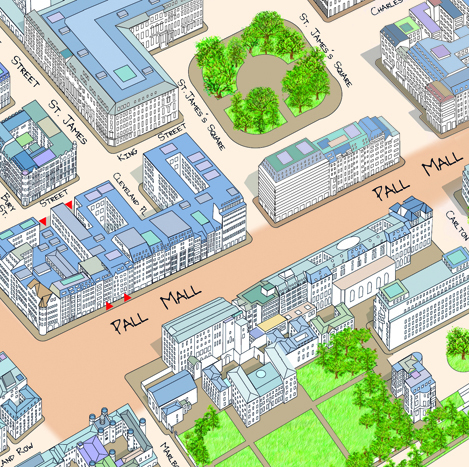 Charles II gave the freehold of 79 Pall Mall to his famous Nell Gwynn, which is why it is now the only property on the south side of Pall Mall not owned by the crown.